Mark your calendar Blackwater fans, our next bout is coming up faster than a trip around the track with our Naughty Nini! 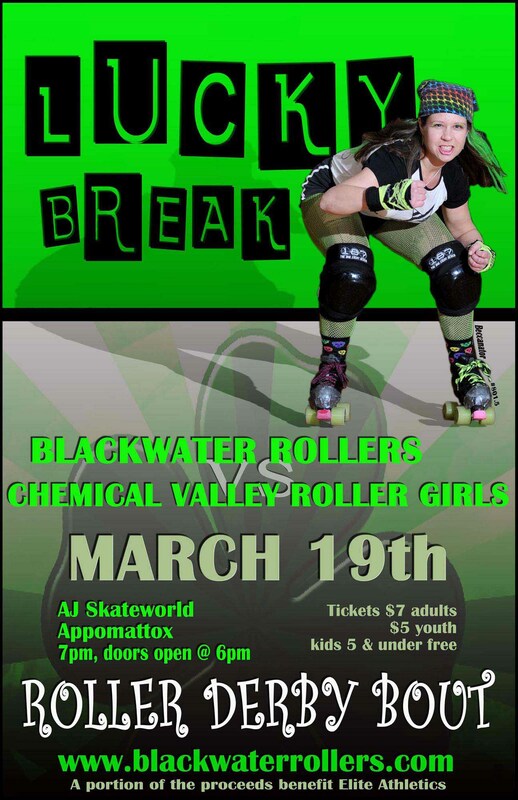 We are facing the rough and rowdy Chemical Valley Roller Girls out of West Virginia on March 19th at our home track. We competed against them back in November of ’09 in our team’s very first bout and are sentimentally ready face them again. So save the date and get your favorite black and pink outfit prepped! It is almost game time! Check out the facebook event page and RSVP here!